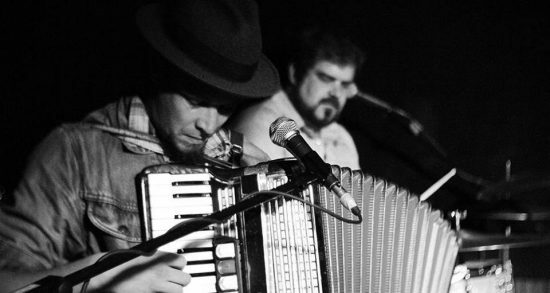 Mayhemingways push traditional songs and sounds in a new direction with a full two-piece show. Country mixes with Cajun, Celtic with bluegrass, and beyond, all in one performance. Benj Rowland and Buster Fewings hail from Peterborough, a rich musical community in Central Ontario. Rowland sings and plays accordion, guitar, and banjo as the tune suits, while holding down the bass with foot pedals. While Buster provides percussive accompaniment and harmonies. Suitable for shows from mellow house shows to larger bars and halls. The Blackrats have evolved their sound through various lineup changes. Not quite rockabilly or psychobilly, the band mixes their multiple influences of punk, metal, rock, and blues to form a unique sound that has made the current incarnation a constant crowd pleaser.